Josh Hoover is all about “engagement,” whether as legislative staff or as a civic volunteer. 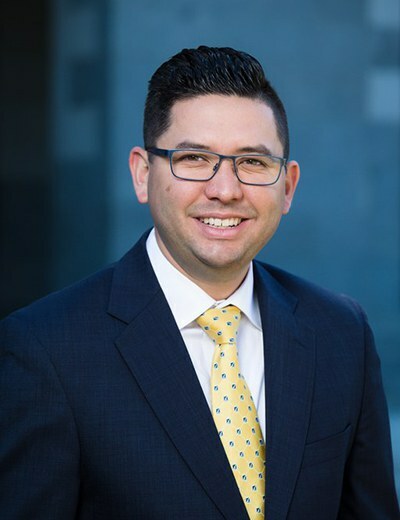 Since graduating from UCLA in 2011, Josh has built a steady resume` of engagement both in his job at the state Capitol and in Folsom, the suburban community where he and his family make their home. As a result, he is pursuing the career he envisioned when first introduced to the UC Center policy program. After UCCS, Josh considered applying to the Senate Fellowship Program, but Plan A became moot when he was offered a job as legislative aide to then-Assemblywoman Mimi Walters. It was an opportunity he could not turn down and one that Josh feels gave me “a year head start on most of my colleagues.” It also forms the gist of his advice to current students. As for maximizing that experience, Josh’s advice is straightforward: show up, work hard, do whatever tasks are assigned to you, and build relationships. After taking that first job in 2011, Josh climbed the staff ladder in the service of several Republican lawmakers. When Walters was elected to Congress in 2014, he became a legislative director, first for Assemblywoman Melinda Melendez and then for San Bernardino-area Assemblyman Jay Obernolte. In 2017, he accepted his current position, Capitol Director for Republican Assemblyman Kevin Kiley of Folsom. “I love working in state policy, and want to continue my time with the Legislature,” Josh says of his career to date. At the same time, he has expanded his civic engagement in Folsom. After volunteering for a variety of community activities, Josh took the plunge and filed to run for the Folsom-Cordova Unified School Board in an election scheduled for November 2018, laying the groundwork for that run with volunteer work and relationship-building over the past four years. Those efforts included the Folsom Chamber of Commerce’s government-affairs committee and its year-long leadership program, as well as participation with Folsom Leading Young Professionals. Family issues led him to volunteer for the school district’s Special Education Community Advisory Committee – an interest sparked when his eldest son was diagnosed with a form of autism. His committee hosts workshops for parents whose children, like his own, have special needs, helping connect those families with services offered by the district. When several seats opened up on the Folsom-Cordova board, Josh decided to take his volunteerism to the next level, as a candidate for elected office. Josh’s “free time” is devoted to his family. He and wife Nicole have three children, aged 9, 6 and 4, and Josh coaches Little League, takes his family to baseball games and on camping trips. As a candidate for office, his main hobby can be summed up in one word: campaigning.